This is not a how to guide - there are instructions of sorts in the box BUT my experience in installing one of these , never having done it before I found a few issues that stopped the install in it tracks. Issues that could easily be prevented. Bolts: (make sure you have these before you start) They are only needed if you need spacers. If you need the spacers (that are in the box) to allow the pickups not to hit the cam then you need longer bolts. These are not in the box. They provide (circa July 2018) 10mm bolts and you need 11-12mm ones. They are easily available of eBay and I had to file my 12mm ones. This filing did not cause any issue with the thread as it is so fine. You need to keep this on with the accompanying 2 wires. 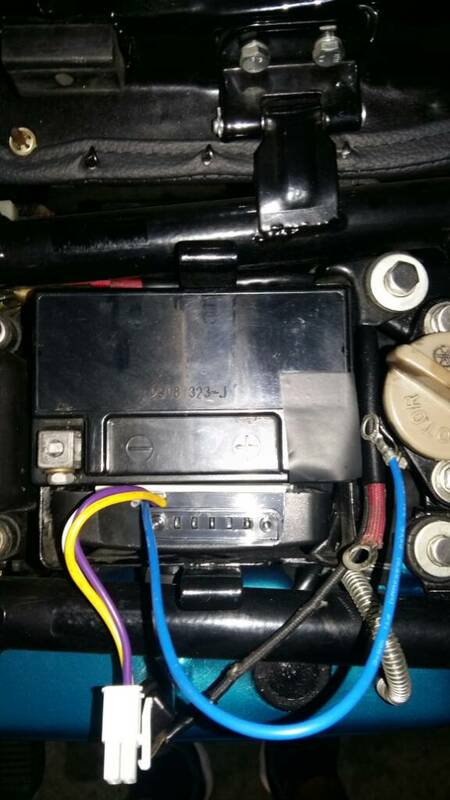 These 2 wires along with the points wires fit into a plastic connector near the battery. On mine they needed attention as were all bent and could not fit without a lot of work with a small screwdriver. Just be aware of that and it will save some swearing. 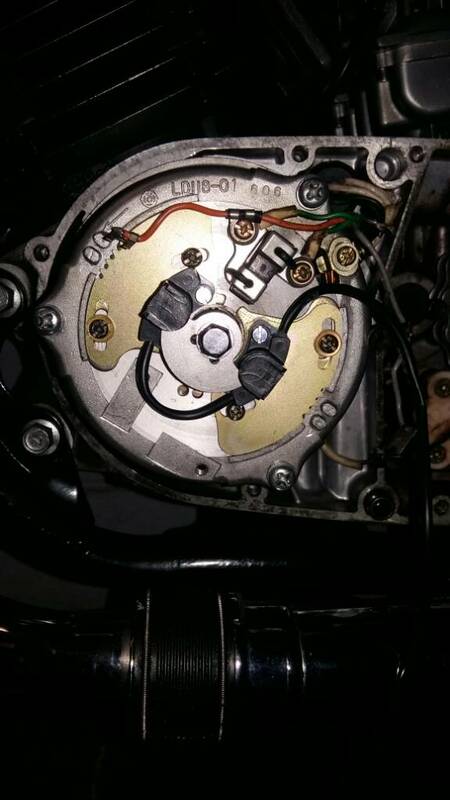 You will need to static time the bike with a dial gauge for initial setup. A task that for some reason takes me ages. I won’t go into this as there must be a write up on here for that but you need a dial guage. The sensor box has lights on it and I found the LH light corresponds to the left cylinder and RH light corresponds to the RH cylinder. (The middle one I ignored). 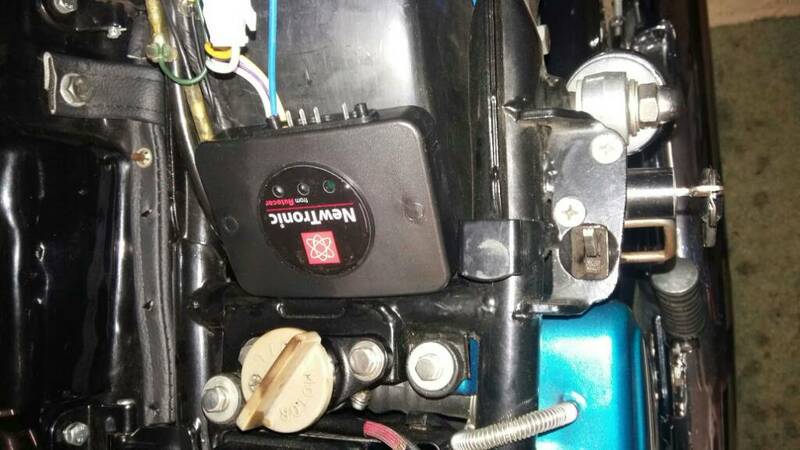 This depends on how you position the pickup sensors. Do it as in my pick and the above applies. Those lights work as one would when using a timing bulb when using your timing dial. All I know is if I read the above it would have helped me no end. Two strokes to me are funny beasts. But boy is it worth having a non points system ! enough due to not long enough travel on the adjustment. to the 1.8 I needed. I think however it needs to be filed out a bit . so both holding screws can be used . very probably need to be be filed to allow for more play. Filing was the only way to allow it to move to get 1.8. Damned good when on ! instant better at lower revs, tighter and smoother running. Cheers for heads up. I'll check on mounting points. I was gonna say I can't have been that stupid .... but that would open up a mailstrum . Same as where I put sensor box . The unit comes with double sided tape, not an ideal fixing solution but does the trick. and I was in error. plates on one side for the timing to be correct. 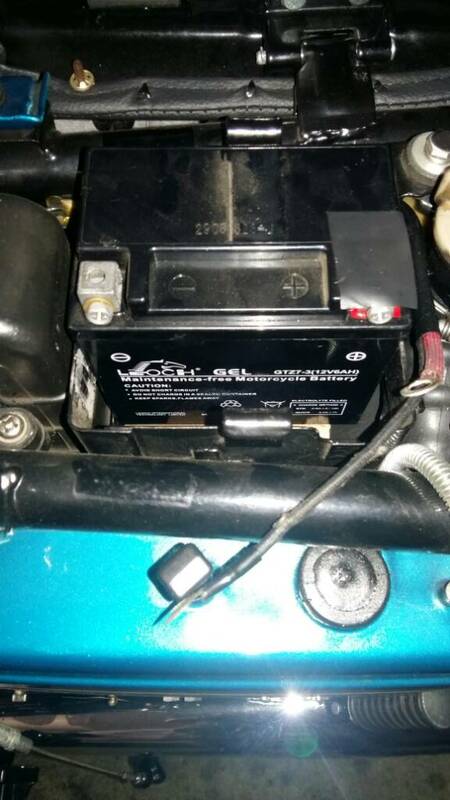 near battery box. It works.